If you follow chefs or foodie bloggers, you’ve likely noticed the Instant Pot craze sweeping your social media feeds. The reason? Instant pots are awesome! They cut your cooking time down significantly, especially for staples that tend to require long cook times on the stove, like rice, beans, artichokes, and bone broth. 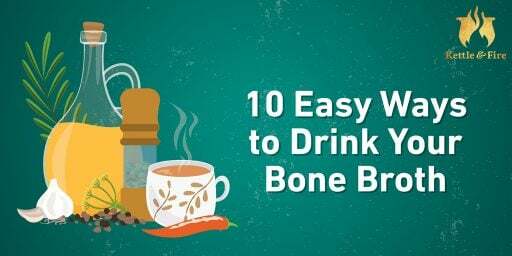 If you’re looking to make your own bone broth in a fraction of the time, while still getting the benefits of a 24-hour simmer, read on. In simple terms, Instant Pots are electric pressure cookers. They work by heating liquid rapidly, turning it to steam, and creating intensely high pressure inside the locked chambers. Today’s Instant Pots can get pretty fancy, offering a browning setting for meats, timers for specific types of foods, cook delay so that your food starts cooking while you’re away, and programming to help you perfect your dish. They combine the convenience and safety of a slow cooker (no open flame, no need for constant monitoring), the speed of an old-school pressure cooker, and today’s technology to bring you a pretty awesome kitchen gadget. So why make bone broth in an Instant Pot? The naturally occurring nutrients in bone broth boast a host of benefits for hair, skin, and nails, all the way to supporting our gut health. 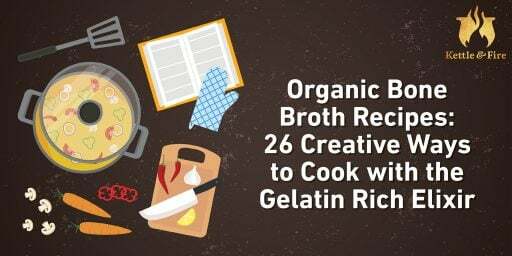 This gelatin is extracted from beef bones or chicken bones and cooked right into the golden broth, which you can sip on its own or use as a base for cooking. We know that for bone broth to be the best it can be, it has to be cooked for a long time. And Instant Pots are specifically meant to be speedy. So how does that work? The answer is in the pressure cooking aspect of this awesome machine. Because the interior of theInstant Pot is heated so rapidly, the steam builds up and actually forces itself through the bones inside, pushing out their goodness far more rapidly than the gentle simmer of your stove top or slow cooker. Your Instant Pot bone broth will come out in two hours just as rich as your 24-hour stove top bone broth. After your broth is done, you’ll notice that the bones in your pot will easily break and crumble, indicating that they’re ready. Once you’ve strained out the scraps and refrigerated your broth, you’ll find the same jello-like goodness in your jars for a fraction of the cook time. The great thing about making bone broth, regardless of how you cook it, is that it encourages you to maximize every ingredient that comes through your kitchen. Chopping an onion? Throw the skins and ends into a freezer bag to use for broth. Same goes for carrot tops, celery butts, ribs (pork bones work too! ), and the carcass of that rotisserie chicken we all buy when we’re too tired to prepare meat for dinner. When you have a freezer bag full of scraps, you know you’re ready to make some broth. While saving your scraps is a great way to create your base of ingredients for broth, if you haven’t done that and want to make broth right now, don’t worry about it. You’ll basically shop the same way you would for a chicken soup recipe. There are two secret ingredients, however. We mentioned before that gelatin is the main component of broth that provides health benefits. When making broth at home, it’s important to include gelatin-rich animal parts. For chicken bone broth (which we’ll focus on for today’s bone broth recipe), you’ll want to include chicken feet or chicken wings, both of which contain collagen, which breaks down into gelatin during cooking. For beef bone broth, you’ll want to include beef knuckle. The connective tissue in this joint is made mostly of collagen. 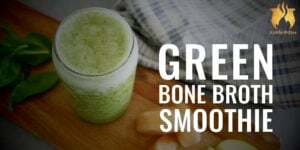 The second secret ingredient is instrumental in unlocking the nutrients from the bones. Be sure to use some sort of acid, like fresh lemon juice, raw apple cider vinegar, or raw whey (a byproduct of homemade raw cheese). For this recipe, we’ll assume that you haven’t been saving your scraps. If you do have some scraps to include, feel free to reduce the other ingredients if you’re worried about everything fitting into your Instant Pot. Don’t forget to save the scraps you create making this batch in preparation for your next one! You’ll want to have a mesh strainer on hand to separate the solids from the liquid after cooking and large three-cup mason jars for freezer storage. We don’t recommend using jars larger than this for freezing, as they’re more likely to crack when the liquid freezes. If you do plan to freeze your broth, make sure you leave at least one inch of clearance between the top of the jar and the broth inside. It expands as it freezes, so if you don’t leave enough space, that could also cause the jar to crack. Use your Instant Pot to make delicious broth in just two hours! This recipe will give you a nearly infinite supply of instant pot bone broth. Add chicken feet, apple cider vinegar, and cold water to the Instant Pot, leaving 3 inches from the top. Let this sit for at least 30 minutes. Add in the other ingredients and fill water to the MAX line in the Instant Pot. Set the instant pot to cook 120 minutes at high pressure. Use the manual release valve to release the pressure before unlocking and opening the pot. The steam will come out very hot and could burn you, so be careful. Strain liquid into mason jars. Freeze whatever you don’t think you’ll use within one week. Note: Once the broth cools in the refrigerator, there will be a layer of fat that has risen to the top. Scrape that off with a spoon before warming and sipping your broth. You can use it for cooking, give it to your pet, or just compost it.